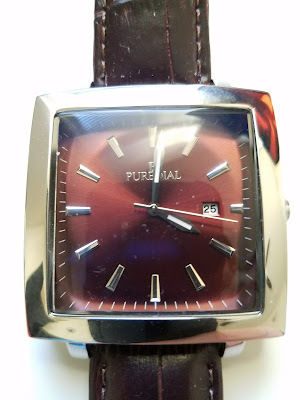 This is my new PUREDIAL: The Square Legacy Watch. I received it last month as part of my membership in WatchGang. It's the first watch that I received as part of WatchGang. It's actually quite a nice dress watch. But, it's curved face and case makes it difficult to photograph. PUREDIAL is a California-based watch company that started as a kickstarter project. The design and watch are brought to us by entrepreneur Ziv Nissimov. I've long been fascinated by watch microbrands like PUREDIAL, but the idea of plunking down money for a kickstarter product that may or may not be delivered has held me back. I think it's pretty cool that WatchGang was able to back them and bring some nice watches to its members. The watch itself is a 42 millimeter square and 12.4 mm thick. 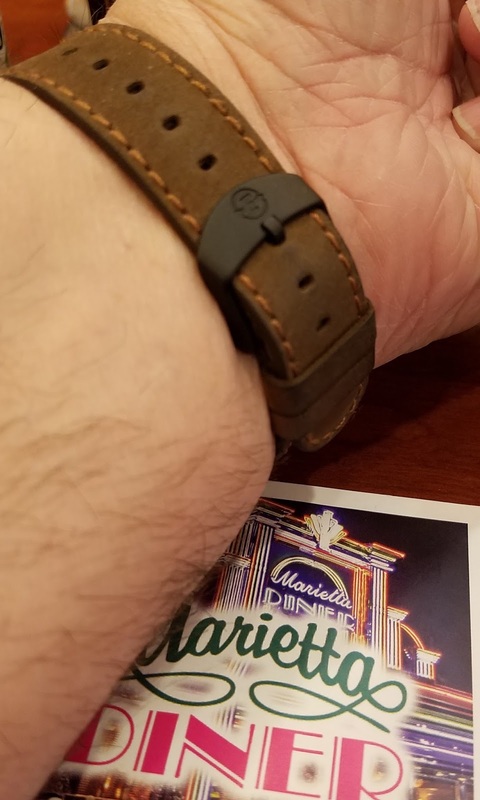 These dimensions fit my wrist well. The watch seems solidly constructed and features a 316L Stainless Steel case with a nicely etched stainless steel caseback. The watch is rated for 5 atmospheres (30 meters) of water resistance. It is powered by a Miyota Quartz movement. The crystal is sapphire-coated glass for improved scratch resistance. The leather watch strap was nicely stitched and quite supple. Overall the watch was quite comfortable to wear. 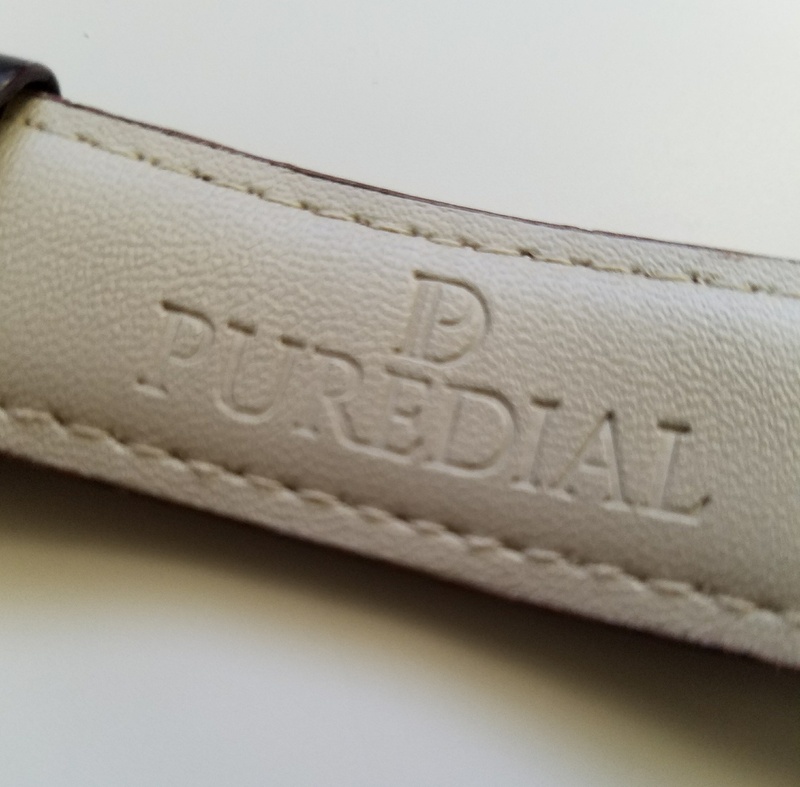 I liked the way that the PUREDIAL logo was embossed into one of the straps. It was a nice luxury touch. If you received this watch via WatchGang, the natural question to ask is - "How much is this watch worth?" It's a good question. 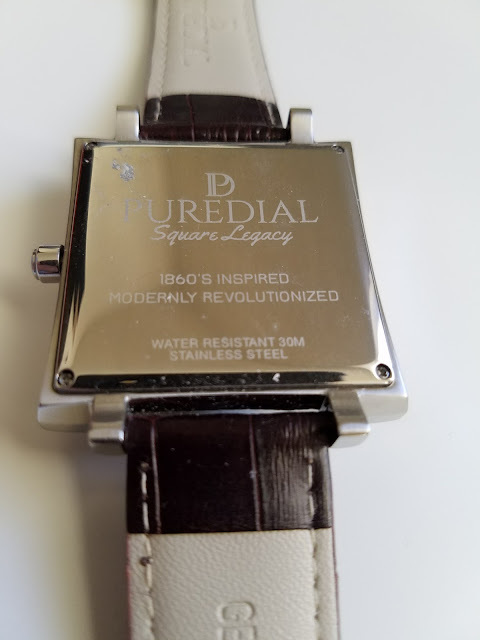 One the PUREDIAL site, the Square Legacy watches are listed for $250.00. That price seems a bit ambitious to me and reminds me of some of the suggested retail prices for the famous Swiss Asian brands. On the brand's kickstarter listing, early birds were offered the watches for $69. The next tier was $79. Others were offered two watches for $155, three watches for $230, or four watches for $299. This suggests that the real retail price for this watch would be in the neighborhood of $75. I think $75 would be a reasonable price for this watch. 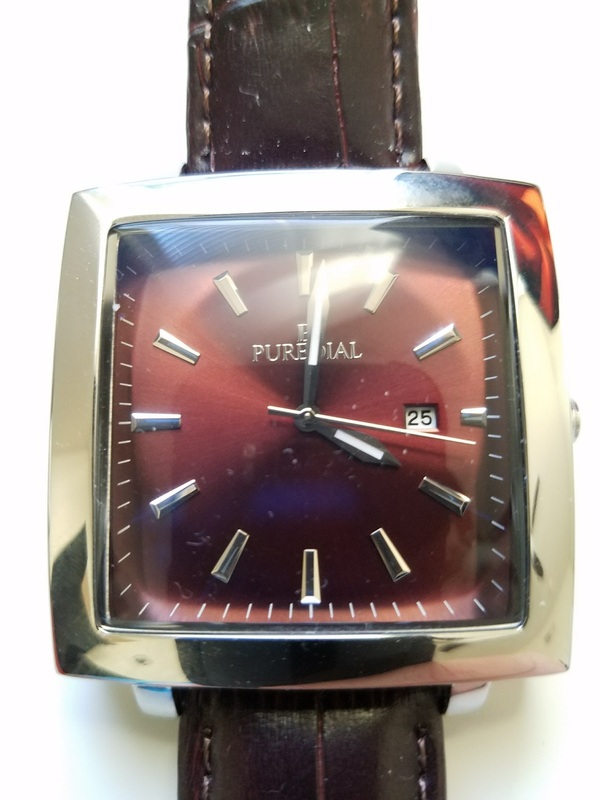 In terms of the construction and component quality, my PUREDIAL watch definitely stands far above the commodity quartz watches that you would typically find at Walmart, Target, Kohl's, or Sears. In my opinion, the leather strap, the stainless steel case, the etched caseback, and the interesting shape would make this a watch retailers would want to keep under the glass. Based on my estimated real retail price of $75, I think this watch is a good value for WatchGang customers. This watch is an interesting addition to my watch collection. I usually gravitate towards Commando-style macho watches. But, when I go into work, I typically select a traditional dress watch that looks like a quality timepiece. PUREDIAL is a solid dress watch choice. This watch is also my first micro brand watch. I appreciate its unique design features, creativity, and relative exclusivity. Overall, I'm very happy with this watch and I will wear it fairly regularly. 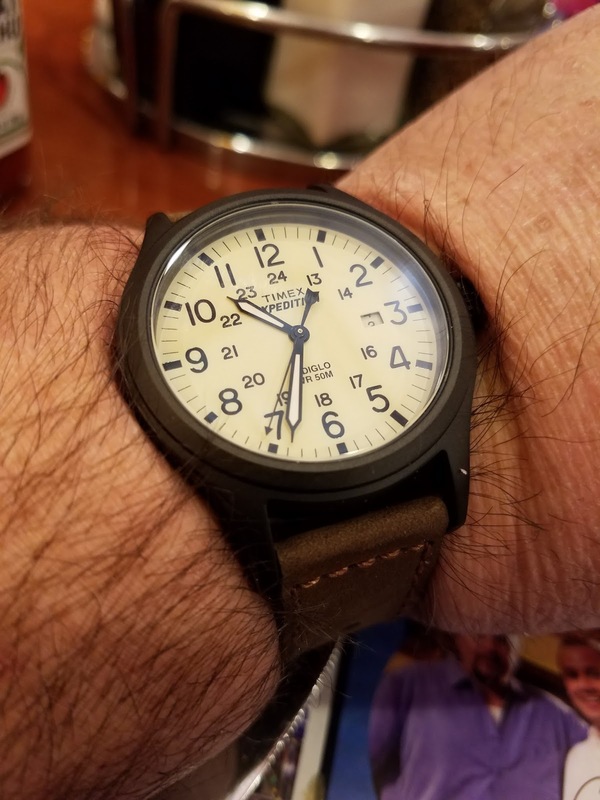 I recently received this military-style Timex Expedition Scout watch (Model TK49963) as a Christmas gift. It offers the simple masculine looks of a military field watch. With a cream dial, large black numbers, and Indiglo backlighting, the Timex Expedition Scout is a wonderfully readable timepiece. The dial has the 12-hours in big numbers and the 24-hours marked off in smaller inset numerals. 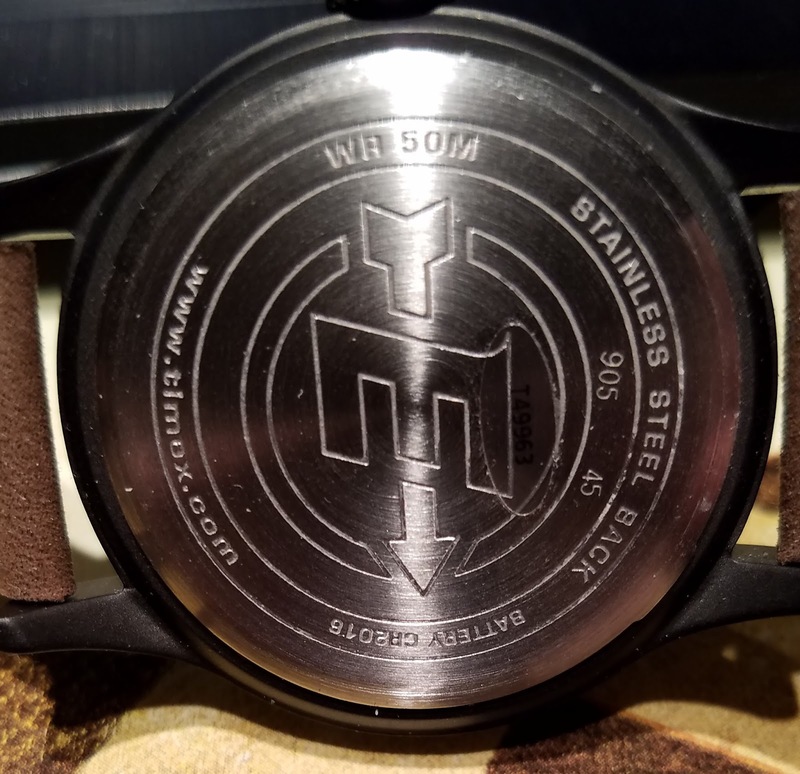 The watch is very readable except for the date window which is just inboard of the 3 o'clock marker. At 50, I find that difficult to discern without reading glasses. The Timex Expedition Scout has a base metal case with the etched stainless steel caseback. The watch takes a standard CR2016 battery. For an inexpensive watch, the water resistance is a generous 50 meters. 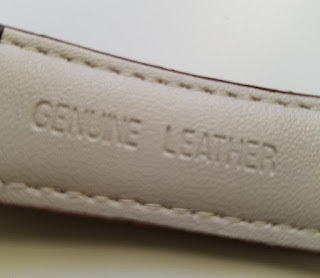 The brown strap is genuine leather with a soft suede exterior look and feel and a smooth leather back. Stitching runs all along the borders of the strap. 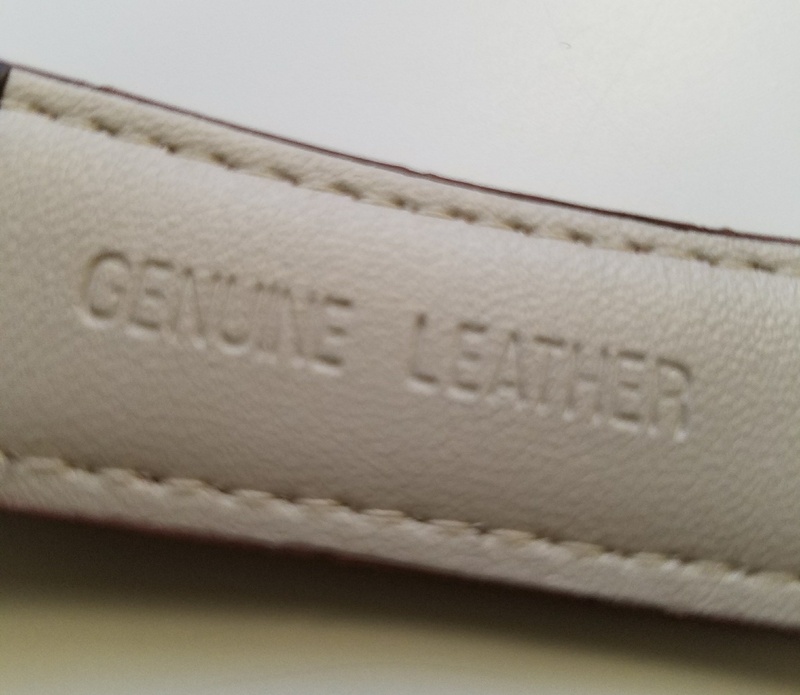 The strap is secured via a standard buckle. The watch has a perfectly proportioned 40 mm diameter case. This is large enough for easy reading without being oversized. 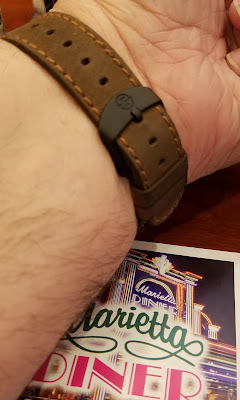 The watch strap is a little narrow, but is long enough to fit my rather large wrists. At no point, will you look at this watch and wonder if it was designed for a woman. I find this watch to generally be very comfortable for daily wear. If the watch rubs anywhere, it is at the clasp buckle. At night time, the dial can be illuminated by pushing in the crown. However, as you can see from this night time shot, the watch is quite readable when illuminated by street lights. 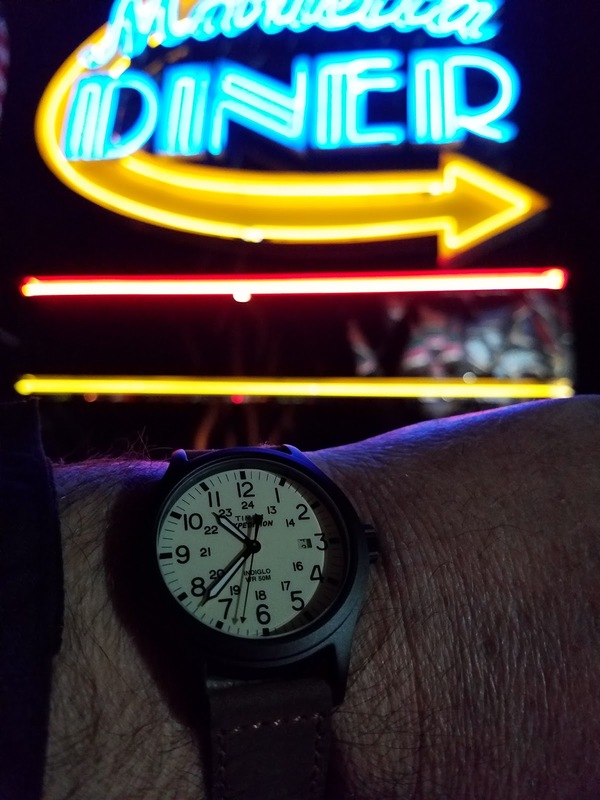 For some reason, a few days after I initially posted this review, the indiglo feature of my Timex stopped working. The watch itself still runs just fine, but the dial no longer illuminates at the push of a button. This is a bit of a disappointment since the backlighting is useful from time to time and it is a major selling feature of the watch. Overall, I still like the looks of this Timex Expedition Scout watch. 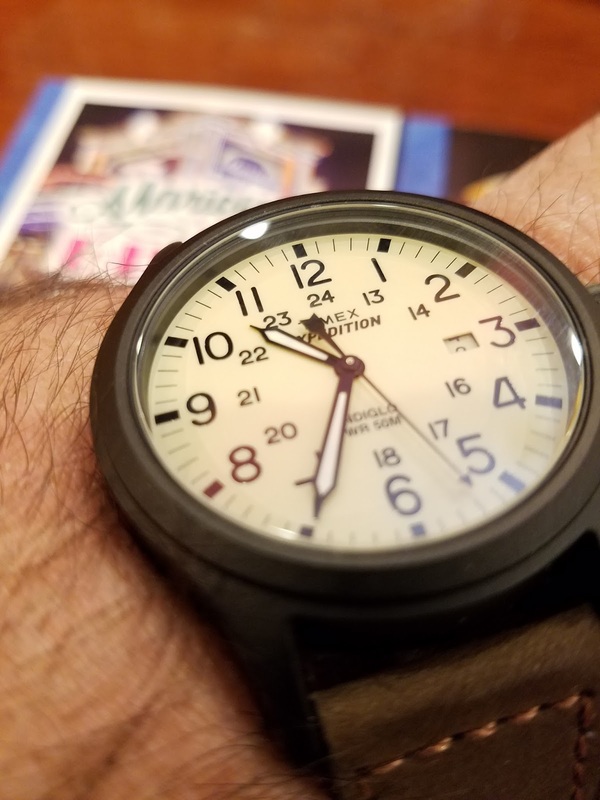 I really like military-style watches and this Timex delivers that look at an affordable price. The failure of the indiglo feature is the first problem I've ever had with a Timex and I may try to get a replacement via the warranty. This watch retails for $59.99 at Kohls before applying Kohl's cash or various discount coupons that come with catalog mailings. If you play your discounts and sales right, you can get this watch (with Indiglo backlighting) at a very affordable price point. If your backlight function goes out, this watch is more like a $15 to $20 timepiece.